Agrello is yet to hold its ICO, however, it has the potential to become one of the biggest success stories in the cryptocurrency world for smart investors. Agrello is simply a platform for building legally binding smart-contracts, using AI without having any prior legal skills or knowledge of coding. 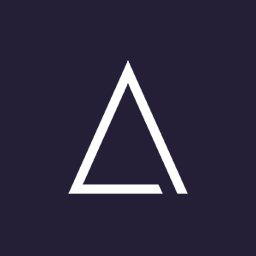 The Agrello token is called Delta Δ and it is being offered with Tier 1 at 0.0001Ƀ, Tier 2 at 0.00011Ƀ, Tier 3 is set at 0.00012Ƀ, and Tier 4 is set at 0.00013Ƀ. One of the key factors that hint at the potential success of Agrello, is its application across a wide range of industries. For instance, Agrello recently inked a partnership deal with Finnish manufacturing giant INCAP, to provide smart agreement prototyping for INCAP’s labor management process. Agrello also has a deal with ViewFibn to develop a digital identity engine. ICO Description: Agrello develops an AI powered interface, allowing you to easily create and manage smart-contract-based agreements which are legally binding, just like traditional contracts. Agrello is highly end-user oriented and enables anyone to create smart-contracts. No coding or legal skills required.